Booked by 30th June 2019. Half day Baku city tour. Return Airfare on Economy Class . Baku has earned a reputation for being a tourist favorite destination. 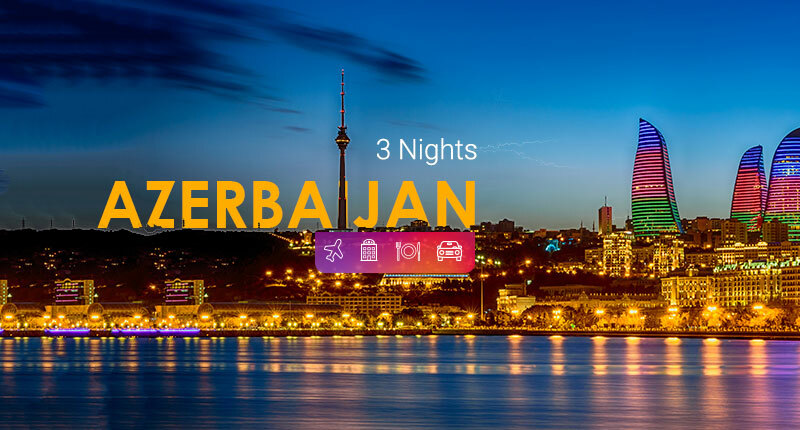 This Spring break, experience the magic of Azerbaijan with its historical palaces, contemporary architecture, cosmopolitan vibes and more with our range of affordable hotels and holiday packages. Book today for an adventure of a lifetime! Travel Date: valid till 30th June 2019. Arrival; meet and greet our representative, and transfer to the hotel to relax before you start experiencing Azerbaijans captivating beauty. - Maiden Tower, ancient symbol of the city (V-VII centuries). - Shirvanshahs Palace (XII-XV centuries) with over thousand years old history. -Modern and old buildings at Seafront Boulevard. Azerbaijan is rich with ancient history, remarkable sights and delicious local cuisine, spend the day at leisure exploring at your own pace. After breakfast, check out from hotel; our representative transfer you to the airport. 3 nights (Standard room of the chosen hotel). All transfer and tours are on private Basis. Baku is composed of an old city and surrounding modern area, both of them fascinating in their own right. The old city is a UNESCO World Heritage site, surrounded by an ancient fortress and including a captivating array of alleys and merchant stalls, as well as some of the countrys most famous historic monuments. Around the old city walls lies the modern Baku, featuring pleasant tree-lined streets, modern tower blocks, and seafront promenade. 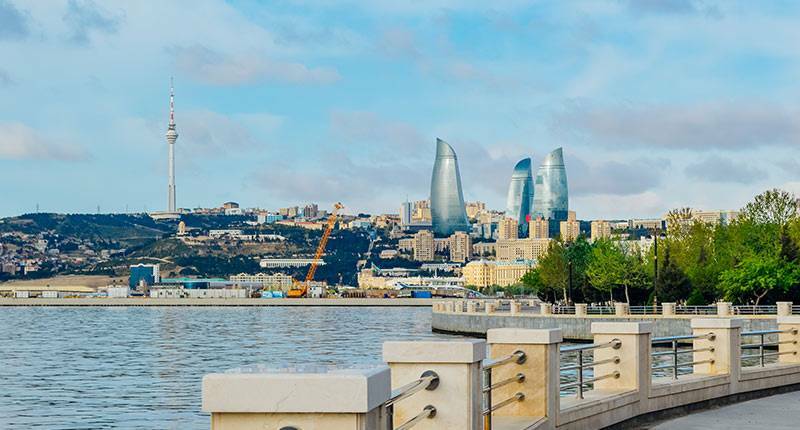 Tourism has recently boomed in Baku, leading to a new generation of excellent boutique hotels and shops as well as modern restaurants and cafes. Language: Azerbaijani. Most people also speak Russian, and English is spoken quite commonly in the tourist areas of Baku. Currency: Azerbaijani manat (AZN). ATMs and Banks are easy to find in Baku, and some shops, restaurants, and shopping malls will take credit card. Do keep some cash handy for smaller purchases. Plug Sockets: Azerbaijan uses plug sockets C and F, which are the standard two-pronged European plugs, so you will need an adaptor. The standard voltage is 220V and the frequency is 50 Hz, which is the same as Dubai. Getting Around: The main form of public transport in Baku is by bus, but there is also a metro which connects the old city with some key locations. The city has recently introduced the BakiKart, a public transport pre-payment system which works on the metro and on the newer red buses. 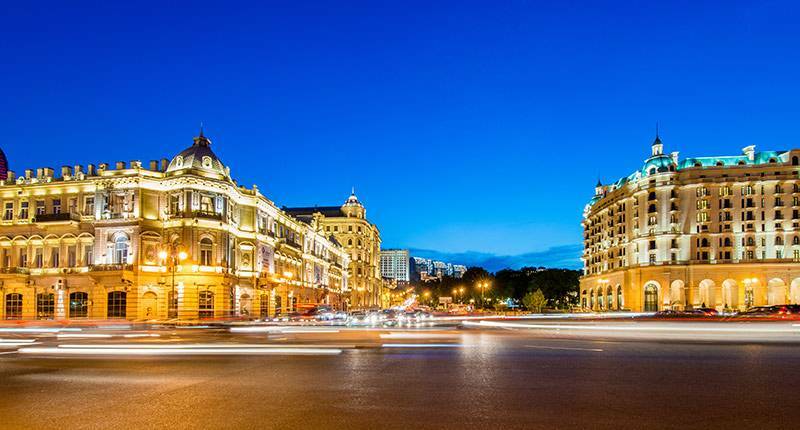 Baku also has some very pleasant areas for walking, and both the old city and the modern boulevards and seafront are best enjoyed by taking a stroll. 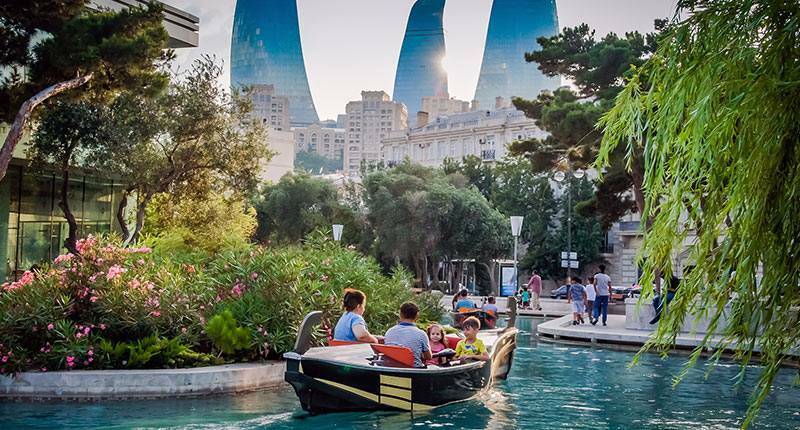 Baku has warm summers and mild winters and can be visited year-round, however the best time to go is during the summer when the city comes alive with people enjoying the weather in the streets. Rain is common during the winter months and it often snows in January. Azerbaijani cuisine is similar to Iranian and Turkish cuisine, with plenty of vegetables, fresh herbs, dried fruit, and meat kebabs. Kebabs are eaten both as a central piece of meals and on the streets with some lavash (flatbread). Light snacks are often served before or alongside main meals, and include chorek (bread), choban (tomato and cucumber salad) and white cheese or yogurt. Some traditional dishes include dolma (stuffed grape leaves), qutabs (pancakes stuffed with minced meat or spinach), and piti, the national soup made of stewed mutton on the bone. Black tea is the national drink, and is consumed in teahouses throughout the city - the best place to find one is in the old city, and the best way to drink it is sweetened and accompanied by some pakhlava, Azerbaijans version of baklava. 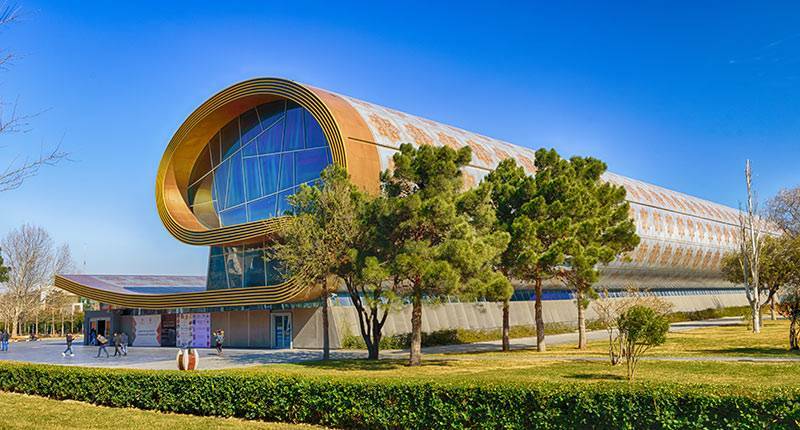 As a cosmopolitan city, Baku also features an array of international restaurants and cafes, and you can find a wide variety of cuisines throughout the city. Azerbaijani culture is a blend of Turkish, Iranian, Caucasian, Soviet and - most recently - European influences. This is reflected in everything from its art to its architecture, food, literature, and craftsmanship. Baku is a great place to explore this culture, encompassing the full richness of the countrys history and traditions within one place. 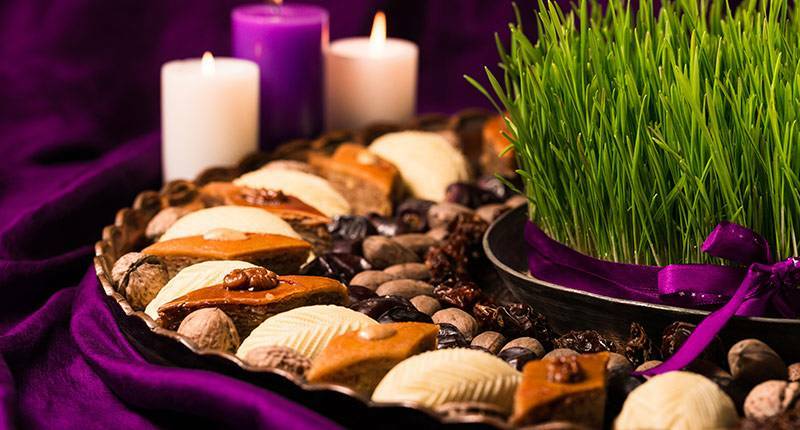 Every March the country celebrates Novruz, a traditional holiday celebrating a new year and the arrival of spring. The preparations for the holiday last a month, and the celebrations themselves go on for several days, during which families gather to eat large plentiful meals symbolizing a good new year. Performances of folk dance and music also take place across the country. 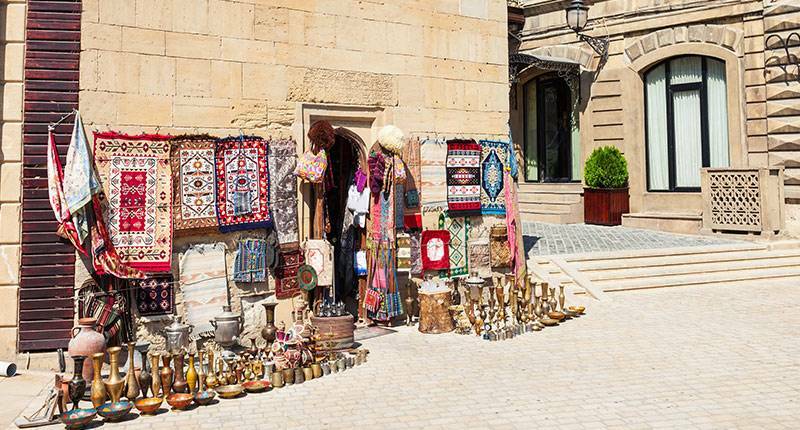 Azerbaijan is famous for its traditional crafts, including a variety of folk and decorative handicrafts such as engravings, jewelry, embroidery, and metal work. The most famous of these however is the Azerbaijani carpet, which in 2010 was proclaimed a Masterpiece of Intangible Heritage by UNESCO. There are many distinct types of Azerbaijani carpet, with the ones made in Baku being famous for their softness, intense colors, and intricate designs. Bakus main attraction is its World Heritage old city, which includes the beautifully restored 15th century Palace of the Shirvanshahs and its surrounding complex as well as the Maiden Tower, one of the citys architectural highlights. The Maiden Tower also contains a museum outlining the history of the city. 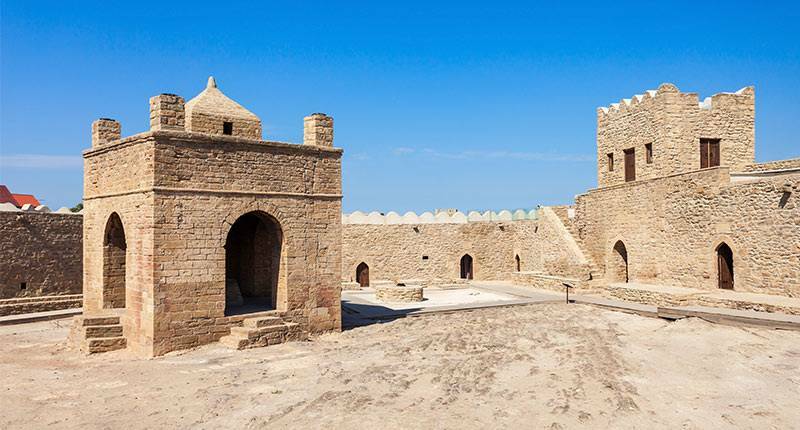 Outside the old city walls, there are plenty of things to do in modern Baku. 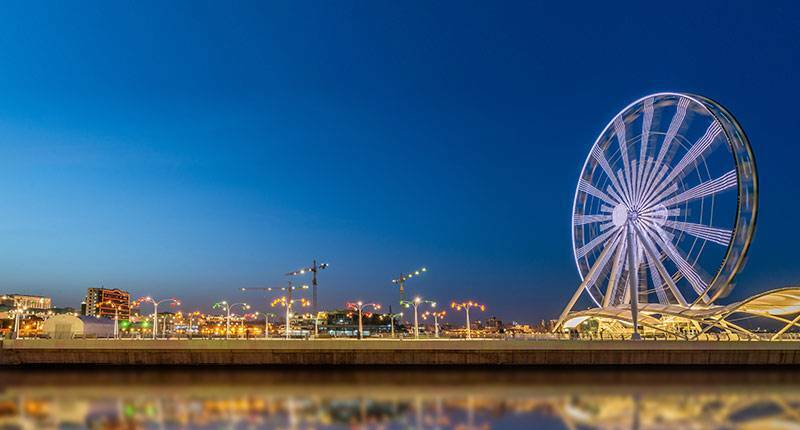 From top-class shopping to strolling along the tree-lined boulevards and enjoying the citys seafront, the cosmopolitan areas of Baku are a delight to simply stroll around. 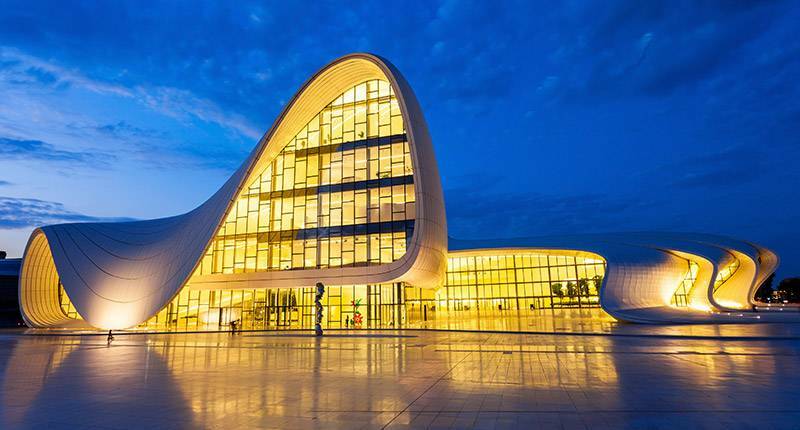 For fans of modern architecture, the Heydar Aliyev Cultural Center, designed by internationally renowned architect Zaha Hadid, is a must-see, and often houses interesting cultural and artistic exhibitions. The famous Flame Buildings are the tallest structures in the city and come alive at night with thousands of LED panels mimicking the movement of fire: they are both an unmissable sight and an excellent observation point for the best views of the city. 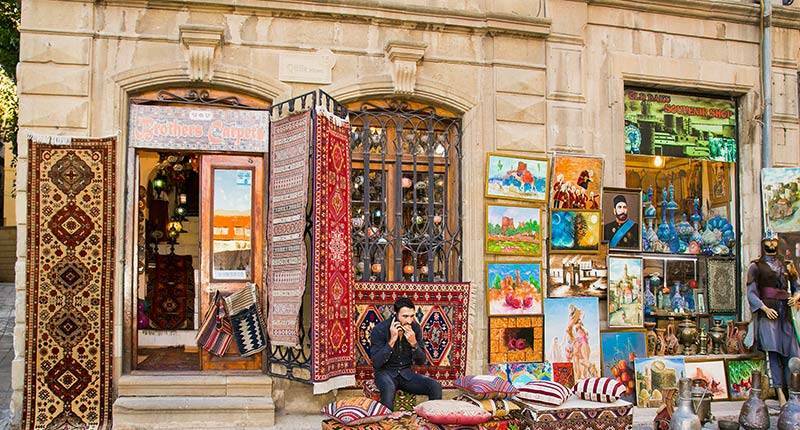 Another popular attraction is the Azerbaijani Carpet Museum, which showcases the history and evolution of this traditional craft, as well as some wonderful examples of carpets from all over the country. Baku can get very warm in the summer and very cold in the winter: pack appropriately for the season. People in Baku tend to dress in a European style, and casual clothing such as jeans and t-shirts will be fine for walking around the city. 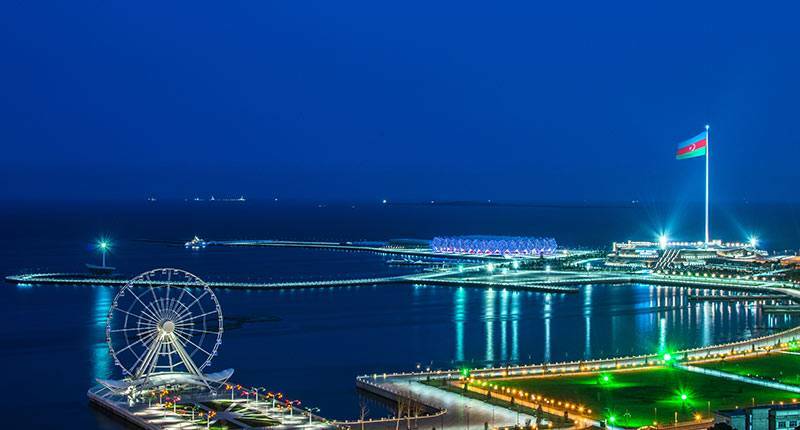 Citizens of UAE can get a Visa on arrival by air into Azerbaijan, and do not need to prepare anything in advance.